For beginners, musical sheets may look really foreign, with all the notes and symbols printed in it. And for those without musical background to start with, it may seem all overwhelming. 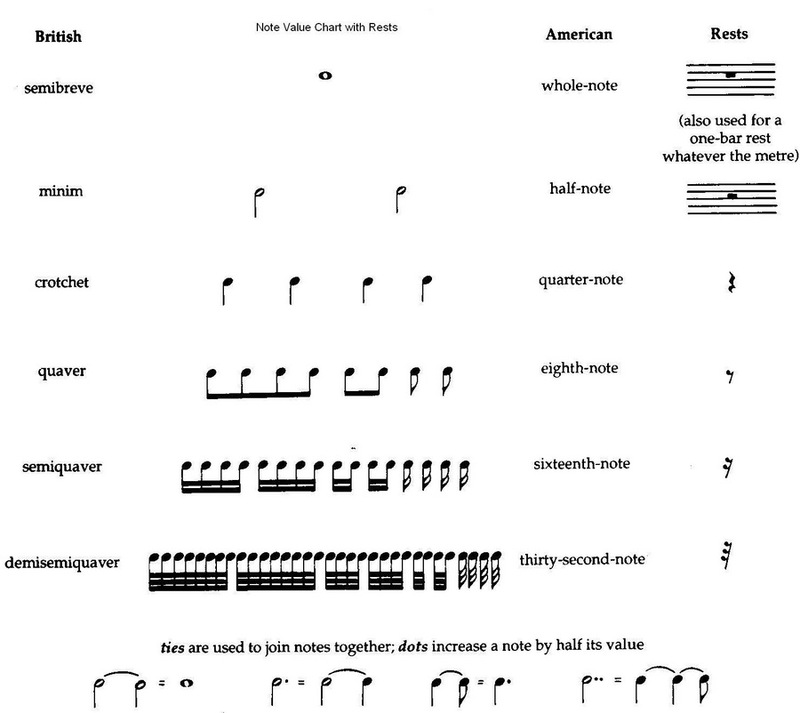 The good thing is, there are lots of ways to start understanding music notes from tutorial videos to reading how to articles like this one. 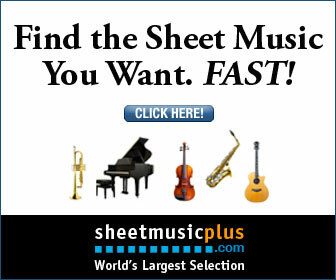 A first step is finding sites with quality free sheet music for piano for popular songs. Let me walk you through the basics of reading music sheets. The first step is to familiarize yourself with the staff. The staff is composed of horizontal lines where the notes and the symbols are usually written there are also the vertical lines called the bar which divides the staff into sections. The space between the bars are called measures. All the notes that will be on the upper staff are the notes above middle C and the bottom staff indicates all the notes below middle C. Middle C is the reference point of pianists. It is located on a line between the upper and lower staff. There are 5 lines and 4 spaces on each staff where the notes can be written. Going on the first line is the E, followed by G B F. remember the notes as Every Good Boy Does Fine. The space on between are the notes, F, A, C and E thus FACE. With these, you have 8 notes in a scale. A scale is composed of an ascending or descending series of 8 notes. It begins and ends with the same note. These are applied to both the upper and lower staff. 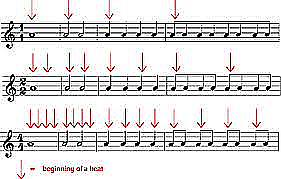 The notes go continuously in both direction. For advanced pianists, the right hand or left hand can play either the notes on the upper or lower staff as the music sheets require but for beginners, it is enough to remember that the upper staff is for the right hand while as represented by the treble cleff, the symbol at the beginning of the upper staff while the lower staff is for the left hand, represented by the bass cleff instead. 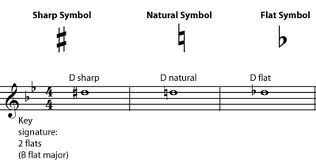 After knowing the notes on the staff, the faster you memorize this, the faster you can concentrate on playing the music. Next is to know what flats and sharps are. The black keys on the piano may correspond to a sharp or a flat. The presence of sharp before a note means that you have to raise a note by one half step while a flat requires you to go down by one half step. 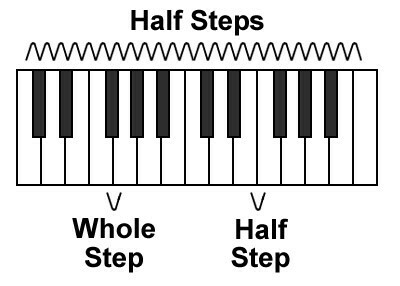 A half step is the very next key, for example raising the middle C by one half step will land you on the black key beside it. Raising it to another half step is the note D. Moving a half step lower middle C will take you to B. So half step basically means moving on the next key. There are usually black keys between white keys except between E and F, also in B and C. The natural symbol represents the original key, or note. This is usually seen after the note is raised in a sharp or lowered in a flat and the music sheet requires the key to be returned in its neutral state. An important thing to learn about are the finger positions. As seen in the figure. In a sheet music, numbers are placed below the notes. These numbers are relevant. For beginners, it will be best to follow the numbering since these are intended to make playing easier while for experienced pianist, the finger positions are already suggestive. In the figure below, you have the scale of C with the finger numbering. To play the C Major scale, start with the thumb, followed by the index finger then middle finger, then at F, the note is numbered once again so you have to tuck your thumb underneath and continue as it is written. 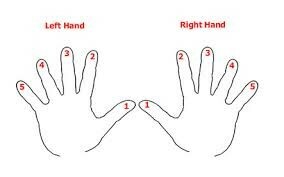 To go back to the middle C, follow the numbering and when you reach F, move the middle finger over the thumb and proceed until you press the middle C. To make sure that you are pressing the right keys, search videos about the key of C and listen if it sounds similar to what you are playing. Practice slowly until your hands glide through the keys smoothly. Moving on, once you are familiar with the notes and piano keys, another significant aspect in learning to read music sheets is the tempo of the of the song or the piece. You can observe that the notes look differently. They have heads and tails.Also there are “rests” which are pauses within the piece. The notes and rests have corresponding counts or beats.Time signature should also be followed. This is a numerical fraction, located on a staff after the treble cleff and bass cleff to indicate the timing. The numerator represents the number of beats per measure while denominator gives the note value for the beat. The kind of note that you will use will be based on the denominator in the time signature. For example, in a 4/4 time signature, you can put one whole note in one measure (since a whole note lasts for 4 counts), 2 half notes (because a half note has 2 counts) and so on. Same applies to rests. Notes with different time equivalents can be combined in one measure as long as it conforms with the time signature. For example in a 4/4 time signature, a half note and 2 quarter notes can be used because this will still be equivalent to 4 beats. 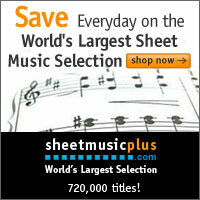 These are just the basics of reading music sheets in piano. There are still a lot more to learn, like other symbols, the dynamics and of course the technique but this is a good start. After adequate memorization and practice, going through the next level will be easier.